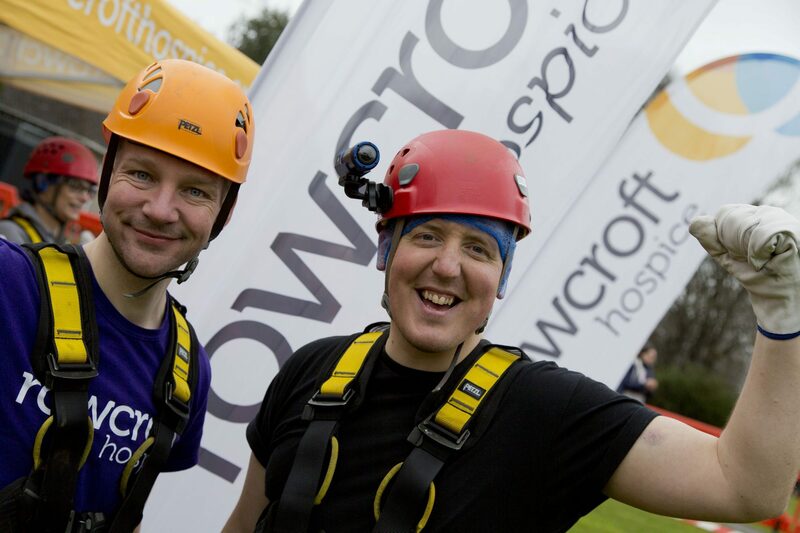 A group of dare devil fundraisers have so far raised £10,000 for Rowcroft Hospice by challenging themselves to the hospice’s sponsored abseil Over the Edge – ‘The Drop’. Intended for only the most fearless fundraisers, Over the Edge – ‘The Drop’ took place in the grounds of Rowcroft Hospice earlier today, and saw 72 people put their fears to the test as they abseiled 150ft off the side of a crane. This year marks the second time the crane abseil has taken place in the grounds of the hospice. Events Manager, Stewart Molyneux, said: “We have the most incredible admiration for all those who braved our 150ft crane abseil today. “Every pound raised by their courageous efforts will help local people facing the hardest days imaginable to spend the most precious time with their family and friends – and we are hugely grateful for their support. Over the Edge – ‘The Drop’ is one of a range of events Rowcroft Hospice is organising in 2018 to help raise funds for local families. Others include a 15,000 foot exhilarating sky dive on Saturday 29 April, South Devon’s brightest 5k, The Colour Rush Teignmouth, on Saturday 12 May and ladies-only ‘Fun on the Farm’-themed night walk, The Rowcroft Sleep Walk, on Saturday 7 July. To find out more about the ways you can support Rowcroft Hospice in 2018, visit www.rowcrofthospice.org.uk/supporting-rowcroft.